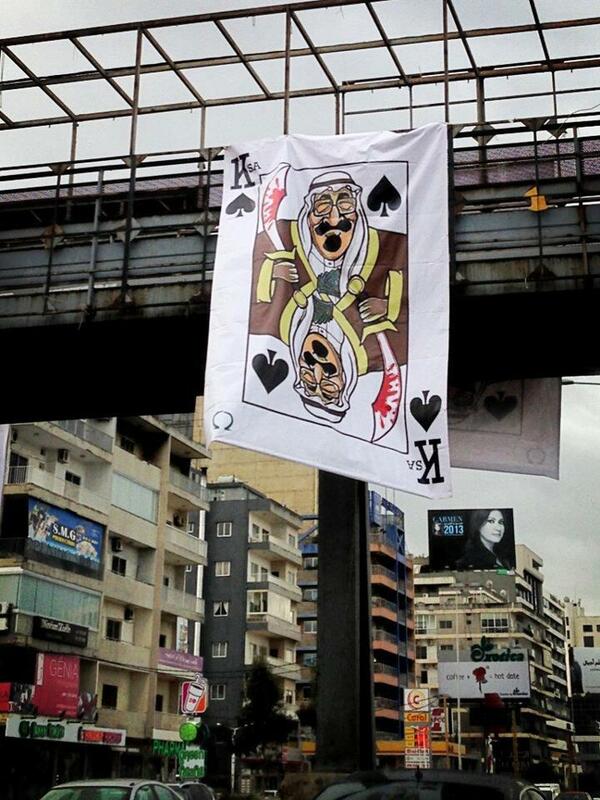 This picture has rubbed the Iranian embassy in Lebanon the wrong way. Apparently, it’s an insult to all Muslims because it’s portraying Ali Khamenei, the Supreme leader of Iran, in a negative way. 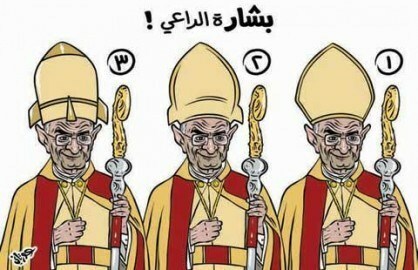 They also believe that the caricature is in violation of Lebanese law. It seems the Iranian lack of freedom of speech has seeped into their embassies as well because they fail to understand that just because Khamenei is “holy” to them and possibly a limited number of Lebanese, the rest of the world and of Lebanon absolutely couldn’t care less. What the Iranian embassy seems to also fail to grasp is that religious figures are not off limits for caricature in Lebanon. 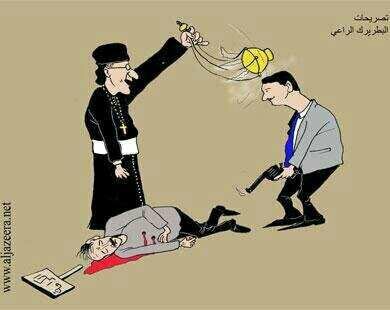 How many times has the Maronite Patriach been portrayed as such? How many times has the Sunni Mufti been portrayed in caricatures? How many times has Hassan Nasrallah been drawn in newspapers? The answer is way too many times for me to even want to research it. Lebanese newspapers do not approach prophets in their drawings because of journalistic principles. Is Khamenei a prophet? 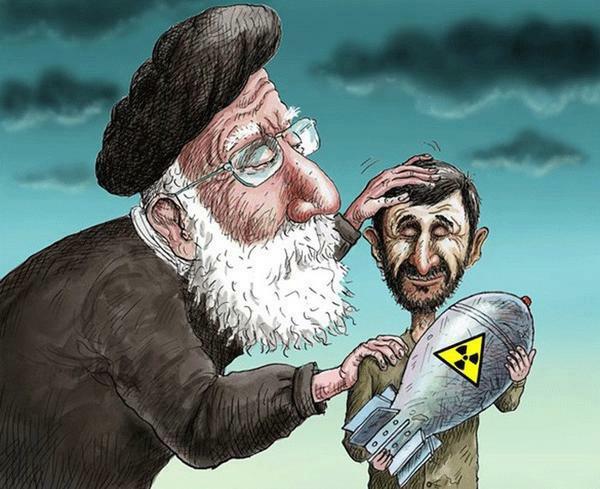 Is he Holier than the prophet Mohammad to have the Iranian embassy panic over him being drawn in a caricature? The bottom line is: Iran, you have your country and you think things are great over there just the way they are. But keep your insecure paws off of one of the few things keeping me clinging to mine. You are in Lebanon as a diplomatic presence and you’re respected to that extent but it is not in your job description to become a censorship bureau. God knows we already have too many red lines we can’t cross. We don’t need your red lines added to ours as well.